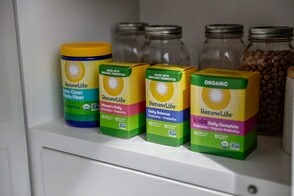 Renew Rewards (the "Program") is a loyalty program sponsored by Renew Life Formulas, Inc. through which individuals (“Participants” or, individually, the “Participant”) can earn “Points” by making online purchases from RenewLife.com and by other online activities. Participants can redeem Points earned for discounts on future online purchases. Sponsor: Renew Life Formulas, Inc., 198 Alt 19 South, Palm Harbor, FL 34683. 1. The Program is only open to legal residents of the fifty (50) United States (and the District of Columbia), who are at least eighteen (18) years old at the time of entry. The Program is void where prohibited. Corporations or other entities or organizations of any kind are not eligible for the Program. 2. Registration. To enroll in this Program, Participants must create an online Account through RenewLife.com. Participant will be required to provide his or her name, a valid email address, a password and agree to these Terms and Conditions. Continued participation in the Program constitutes each Participant's continued full and unconditional agreement to these Program Terms and Conditions, as they may be updated from time to time, and representation that Participant meets the eligibility requirements described above in Section A (1). Those who do not comply with these Terms and Conditions may be prohibited from participating in the Program as determined by Sponsor in its sole discretion. There is a limit of one (1) Account per person, regardless of whether more than one person uses the same e-mail address. The person who is the authorized e-mail account holder of the e-mail address indicated when registering (and who otherwise meets the eligibility criteria) will be deemed the Participant. With reasonable notice, Sponsor reserves the right, in its sole discretion, to suspend, modify, or terminate the Program at any time even though these changes may affect a Participant's ability to use accumulated Points. If Program is terminated for any reason, in Sponsor's sole discretion, all accumulated Points in Participants' Accounts will expire. Sponsor will make reasonable efforts to provide notice to Participants of changes to the Program that may affect Participant’s use their Points prior to implementation. By continuing to participate in the Program, Participants agree to any changes made to the Program. 1. Earning Points by making online Purchases: For each online purchase you make while you are logged into your Account, you will earn Points. The number of Points earned is based on the total cost of your product purchase, excluding shipping & handling, taxes and any discounts applied (including discounts received when redeeming Points as described in Section E) (herein “Product Purchase”) and your “Tier” status. If you return any products, the Product Purhcase price will be deducted and may affect your Tier. If you reach the Gold Tier Status, you will receive an additional benefit: Approximately every three (3) months, Sponsor will send Participants who have obtained Gold Tier a sample product. The details, including the product type and value, will be determined by Sponsor in its discretion. The Product Purchase price will be rounded down for purposes of computing Points earned. Your Account will be credited with the Points once the product is shipped. If you cancel an online product purchase before it is shipped, you will not receive Points. If you return an online purchase, any Points earned for the purchase will be deducted from your Account. Sign-up for Account (offered only to new Participants): Create an online Account, join this Program, and receive 40 Points. Birthday Celebration: Click on the Rewards button to open the Rewards panel and add your birthdate. You will receive 100 Points each year on your birthday. Referrals: Participant may share a unique link with friends and family (persons with whom they have an existing relationship) to encourage others to join this Program. Participant will receive 200 Points for each new person who creates an Account using Participant’s unique link and makes one (1) online purchase. Like RenewLife on Facebook: Follow the links and instructions to Like the RenewLife page on Facebook and receive 20 Points. You may only receive these Points one time. 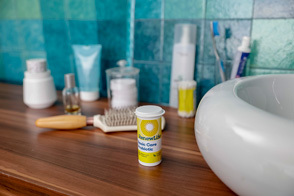 Follow RenewLife on Instagram: Follow the links and instructions to Follow RenewLife on Instagram and receive 20 Points. You may only receive these Points one time. 3.Sponsor reserves the right to remove Points from a Participant's Account if it determines that such Points were improperly credited to the Participant's Account or were obtained fraudulently. Validated Points deposited into a Participant's Account that are subsequently determined to be invalid for any reason are subject to disqualification and will be removedfrom the Participant’s Account. 4. Sponsor further reserves the right to change, add or remove the methods by which Participants can earn Points. 1. Points may only be redeemed when making an online purchase, while logged into Participant’s Account. Upon adding products to your shopping cart and assuming that you have sufficient Points in your account, you will be offered the opportunity to redeem Points to receive a $5, $10, or $15 discount or free shipping. If you select a discount to your purchase, the discount will only be applied to the purchase price and not to shipping fees or taxes. 2. Points may be redeemed immediately once deposited into a Participant's Account, or they may be saved for redemption at a later date. 3. Sponsor reserves the right to modify the value of Points at any time for any reason. 4. The total number of Points a Participant can use to redeem an item is the number of Points he or she has available in his/her Account. 5. All redemptions are final and the Points will be deducted immediately from Participant's Account. 1. No Cash Value or Transferability. Points do not constitute property, do not entitle a Participant to a vested right or interest and have no cash value. As such, Points are not redeemable for cash, transferable or assignable for any reason, and are not transferable upon death, as part of a domestic relations matter or otherwise by operation of law. The sale or transfer of Points is strictly prohibited. Points may not be sold on any secondary market, and any transfer of Points to a secondary market shall be deemed void. Any Points remaining in a Participant’s Account if the Program is terminated will be forfeited without compensation. There shall be no carry over or transfer of Points to other Sponsor programs, unless otherwise determined by Sponsor in its sole and absolute discretion. 2. Point Expiration. Points earned will only expire if a Participant’s Account is inactive for 365 days. At this time, all Points in the Account will be forfeited. A Participant is deemed inactive if he or she does not earn or redeem any Points. 3. Accrued Points Viewable in Participant’sRewards Account.The number of Points collected by each Participant will be tracked in the Participant’s Account. However, each Participant will have the responsibility of ensuring that his/her Points are properly credited. Any claim for Points not credited accurately must be received by Sponsor within fourteen (14) days of the date of claimed accrual of such Points. Sponsor in its sole discretion may manually issue Points as a result of a request from a Participant. It can take up to ten (10) days for Sponsor to review and approve or deny such requests. Sponsor reserves the right to invalidate Points from a Participant Rewards Account if it determines that such Points were improperly credited or obtained fraudulently. Sponsor reserves the right to require proof of accrual of Points and Sponsor reserves the right to delay the processing or redemption of any Points without notice to Participants in order to assure compliance with these Rules. Participants are responsible for maintaining the confidentiality of their Accounts and passwords and activity on their Account. Participants agree to accept responsibility for all activities that occur under their Rewards Account. If Sponsor finds that a Participant, (1) fails to abide by these Terms and Conditions, or any policies or procedures implemented by Sponsor, or (2) takes any action deemed detrimental to Sponsor, or (3) makes any misrepresentation, or (4) is found to be participating in any fraudulent activity in connection with the Program, Sponsor may, in addition to any rights or remedies available in law or equity, terminate articipation in the Program. Termination in the Program will result in forfeiture of Points accrued to date. 1. Sponsor reserves the right to suspend or discontinue the eligibility of any person who uses or is suspected of using the Program in a manner inconsistent with these Terms and Conditions or any federal or state laws, statutes or ordinances. In addition to suspension or discontinuance of Program eligibility, Sponsor shall have the right to take appropriate administrative and/or legal action against such persons. 2. Any attempt by a person to undermine the legitimate operation of the Program may be a violation of criminal and civil law, and, should such an attempt be made, Sponsor may seek damages from any such person to the fullest extent permitted by law. Sponsor's failure to enforce any of these Terms and Conditions shall not constitute a waiver of this, or any other provision. 3. All questions or disputes regarding eligibility for the Program, the availability of Points or a Participant's compliance with these Terms and Conditions will be resolved by Sponsor in its sole discretion. By participating, Participants agree that all decisions made by Sponsor or its designated agents regarding the Program, Points or Participant's eligibility are final. 4. Sponsor is not responsible for any incorrect or inaccurate information supplied by Participants for the Program. 5. Participants are responsible for the payment of all taxes which may result from participation in the Program. 6. Participants are responsible for maintaining updated contact information on the Website. 7. The Program is subject to all applicable laws and regulations. 1. Sponsor, and its respective parent companies, affiliates, subsidiaries, and promotional and advertising agencies are not responsible for any printing or computer error, omission, interruption, irregularity, deletion, defect, delay in operations or transmission, theft or destruction or unauthorized access to or alteration of Program materials, or for technical, network, telephone equipment, electronic, computer, hardware or software malfunctions of any kind, or inaccurate transmission of Program information due to technical problems or traffic congestion on the internet, at any Website or any combination thereof. In the event that online access is temporarily corrupted and suspended, notice of such will be provided at the Website. 2. By participating in the Program, each Participant accepts all responsibility for, and hereby releases and agrees to indemnify and hold harmless Sponsor and its respective parent companies, subsidiaries, affiliates, agents, promotion and advertising agencies, franchisees, and each of their respective officers, directors, employees, shareholders, and successors, assigns, and service providers from and against any claims, liabilities, damages or expenses that may arise from actions taken by such Participant and/or Participant’s participation in the Program, or for any harm or injury caused by any third party. 3. UNDER NO CIRCUMSTANCES, INCLUDING, BUT NOT LIMITED TO, NEGLIGENCE, SHALL SPONSOR AND THEIR RESPECTIVE OFFICERS, DIRECTORS, EMPLOYEES, SHAREHOLDERS, AGENTS, FRANCHISEES, SUCCESSORS, ASSIGNS, AND SERVICE PROVIDERS BE LIABLE FOR ANY DIRECT, INDIRECT, INCIDENTAL, SPECIAL OR CONSEQUENTIAL DAMAGES ARISING OUT OF PARTICIPATION IN THE PROGRAM, EVEN IF ANY OR ALL OF THE FOREGOING OR ANY OF THEIR AUTHORIZED REPRESENTATIVES HAVE BEEN ADVISED OF THE POSSIBILITY OF SUCH DAMAGES. SOME JURISDICTIONS DO NOT ALLOW THE EXCLUSION OR LIMITATION OF INCIDENTAL OR CONSEQUENTIAL DAMAGES, THEREFORE SUCH EXCLUSIONS MAY NOT APPLY TO YOU. IF SPONSOR IMPROPERLY DENIES A PARTICIPANT REDEMPTION OF POINTS, LIABILITY WILL BE LIMITED TO THE EQUIVALENT FAIR MARKET VALUE OF THE DISCOUNT OFFERED BY REDEMPTION OF POINTS. BY PARTICIPATING IN THE PROGRAM, A PARTICIPANT WAIVES ANY AND ALL RIGHTS TO BRING ANY CLAIM OR ACTION RELATED TO SUCH MATTERS IN ANY FORUM BEYOND ONE (1) YEAR AFTER THE FIRST OCCURRENCE OF THE KIND OF ACT, EVENT, CONDITION OR OMISSION UPON WHICH THE CLAIM OR ACTION IS BASED. 4. Sponsor and its officers, directors, employees, shareholders, agents, franchisees, successors, assigns, and service providers, are not responsible for any products or services offered on the Website. TO THE FULLEST EXTENT ALLOWABLE BY LAW, SPONSOR SPECIFICALLY DISCLAIM ANY REPRESENTATIONS OR WARRANTIES, EXPRESSED OR IMPLIED, REGARDING THE PRODUCTS AND/OR SERVICES SOLD THROUGH THE PROGRAM. Those include any implied warranty of merchantability or fitness for a particular purpose and implied warranties arising from course of dealing or course of performance. Some states do not allow limitations on how long an implied warranty lasts, so the above limitation may not apply to you. 5. As a condition of participating in the Program, Participant agrees that, except where prohibited, any and all disputes, claims and causes of action arising out of, or connected with, the Program or any item purchased therein shall be resolved individually, without resort to any form of class action, and exclusively by the appropriate court located in Michigan. All issues and questions concerning the construction, validity, interpretation and enforceability of these Terms and Conditions, Participant’s rights and obligations, or the rights and obligations of Sponsor in connection with the Program, shall be governed by, and construed in accordance with, the laws of the State of Michigan, without giving effect to any choice of law or conflict of law rules (whether of the State of Michigan or any other jurisdiction), which would cause the application of the laws of any jurisdiction other than State of Michigan. 6. If any provision of these Terms and Conditions is found to be invalid or unenforceable by a court of competent jurisdiction, such provision shall be severed from the remainder of these Terms and Conditions, which will otherwise remain in full force and effect.